Canada's generic drug industry agrees to cut prices 25 per cent to 40 per cent for provincial/public drug plans, in exchange for suspending open tenders. 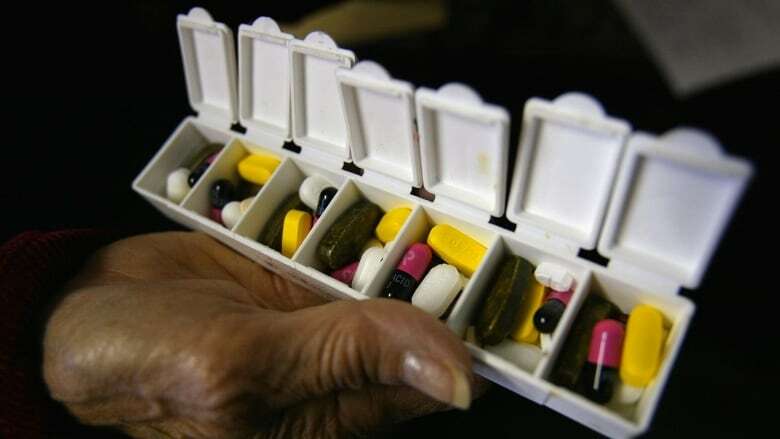 Canada's generic drug industry has agreed to cut prices 25 per cent to 40 per cent for provincial/public drug plans, in exchange for suspending open tenders for five years. The pan-Canadian Pharmaceutical Alliance made the announcement on Monday on behalf of participating federal, provincial, and territorial public drug plans and the Canadian Generic Pharmaceutical Association. "As of April 1, 2018, the prices of nearly 70 of the most commonly prescribed drugs in Canada will be reduced by 25 per cent to 40 per cent, resulting in overall discounts of up to 90 per cent off the price of their brand-name equivalents," the groups said in a statement. The announcement follows a similar agreement announced by Quebec's government in July 2017. The province's health minister said Quebec spends about $800 million annually on generic drugs, and that the agreement will mean a decrease of more $300 million a year, which works out to a roughly 40 per cent reduction. More than 70 per cent of all prescriptions reimbursed under Canada's public drug plans are generic drugs, the alliance said. These include medications used to treat high blood pressure, high cholesterol and depression that are collectively used by millions of Canadians. Under the new agreement, provincial and territorial governments agreed not to pursue tendering for participating drug plans over the five-year term. The groups said since generic drugs covered by the agreement are manufactured by multiple companies, it will help to ensure a stable supply for Canadian patients. The five-year agreement provides assurance to the generic drug industry, which will know the rules and prices before bringing drugs to market, said Jeff Connell, vice-president of corporate affairs at the Canadian Generic Pharmaceutical Association. "It essentially ties their hands, because tendering of generic supply can be one of the most effective means of reducing prices and also of ensuring the supplier is committed to making sure that Canada gets the medicine it needs," said Steve Morgan, a professor in the School of Population and Public Health at the University of British Columbia. The generics industry does not want open tendering because it forces them to cut their margins and compete on price, he said. Health agencies that demand tendering, such as the U.S. Veterans Affairs and New Zealand public drugs plan, often demand security of supply clauses that bring a tremendous incentive for the winner of the tender to make sure they deliver the drugs or else they're required to compensate the cost of supplying the drug to the market from a competitor, Morgan said. Morgan has studied the merits and disadvantages of establishing a universal program for prescription medications for all Canadians, also called pharmacare. The deals come as a parliamentary committee weighs the pros and cons of a national pharmacare plan. The price discounts are to start on April 1. Savings of up to $3 billion for public drug plans are expected over five years.